Happy St. Patrick's Day Kids! 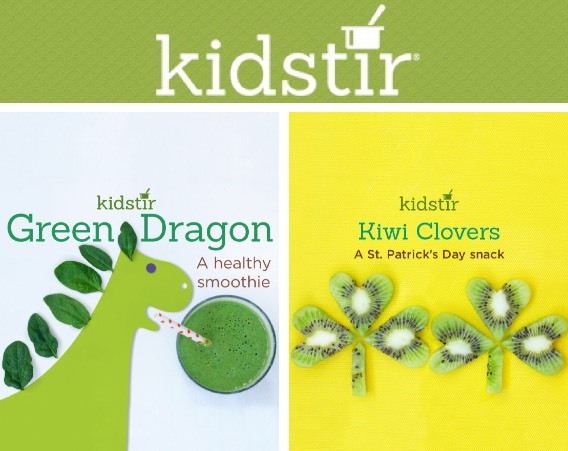 For a little Irish luck this St. Patrick’s Day, serve up a kiwi clover snack! Follow our easy tips for cutting the kiwi with a heart-shaped cookie cutter. It’s a fun after-school snack to serve on March 17th. Get the kids to eat their greens next week and every week! 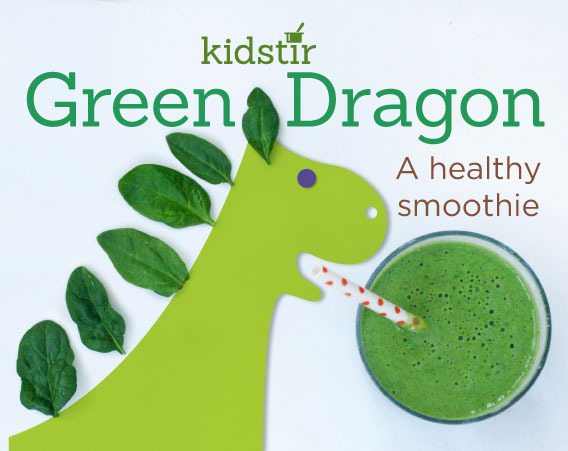 Try this yummy Green Dragon Smoothie. It’s so creamy and tasty, the kids won’t even realize they’re eating spinach. 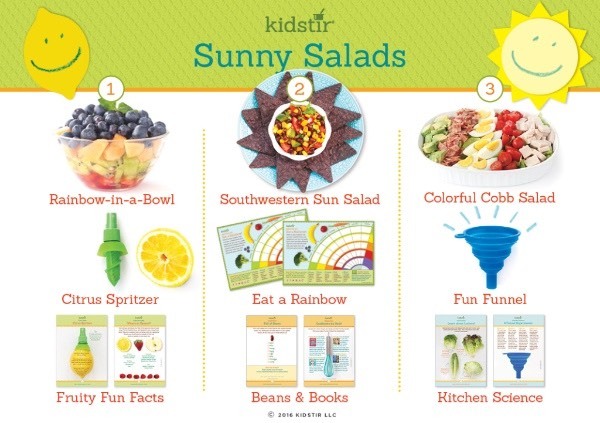 Sunny Salads Kits Have Shipped! Did you get your kit yet? Check your email for your tracking number so you can see when it will arrive. We can’t wait to hear about all the fun you’re having making fresh and healthy salads this month. Just heard about Kidstir? There’s still time to start a new subscription with code SUNNY30 and get 30% off the first kit of your new subscription! Act soon, offer expires 3/20/2016.